Uma civilização moderna caracterizada na aurora da Internet das Coisas transformou consideravelmente o estilo de vida humano que dá magnitude drástica às conexões virtuais que fazemos com o ambiente através de dispositivos mediados por computador. Essa nova experiência de vida potencialmente altera os padrões de ver e pensar. Daí em diante, as formas de entender a música na era da Internet não são mais lineares e singulares, enquanto os hábitos convencionais de pensamento e trabalho etnográficos devem ser reexaminados. À medida que o surgimento da Internet e da virtualidade reconfigura a concepção das dimensões temporais e espaciais, o conhecimento existente da música considerado “real” e “autêntico” pode se tornar inadequado hoje, já que todos os outros atributos que mudam ao longo do tempo e espaços podem ter sido desconsiderados de serem parte da realidade. Uma recente pesquisa de doutorado em música budista, que emprega uma metodologia em etnografia virtual, embarca em uma perspectiva de ideias paralelas em fenomenalidade e virtualidade que é feito sob medida para o surgimento da Internet. Costuma-se prever que tanto a metodologia etnográfica posicionada neste estudo quanto as aparências problemáticas da música se tornariam problemáticas para os etnógrafos. No entanto, uma das descobertas deste estudo demonstra que essas questões típicas poderiam ser resolvidas pela consideração do seguinte: a propriedade virtual da música é considerada integral à realidade; e a causa da fenomenalidade na construção do objeto etnográfico é significativamente considerada. Embora a natureza da música adquira uma extensa compreensão da filosofia budista, este estudo propõe uma possível abordagem no sentido de fazer pesquisas contemporâneas na música como uma forma de conhecimento. Chow Ow Wei trabalha atualmente no Departamento de Música da Universiti Putra Malaysia. Está ativamente envolvido em pesquisas acadêmicas que se concentram em musicologia cultural, etnografia virtual e estudos culturais digitais. Ele contribuiu com numerosos artigos em revistas acadêmicas e publicações para as quais ele escreveu sobre tópicos que vão desde música relacionada ao budismo à mídia online e identidade social no movimento musical local. Tendo trabalhado anteriormente como colunista de jornal e conferencista, ele também tem atuado como administrador, editor, tradutor, fotógrafo, designer gráfico e pesquisador cultural em seus empreendimentos multidisciplinares. 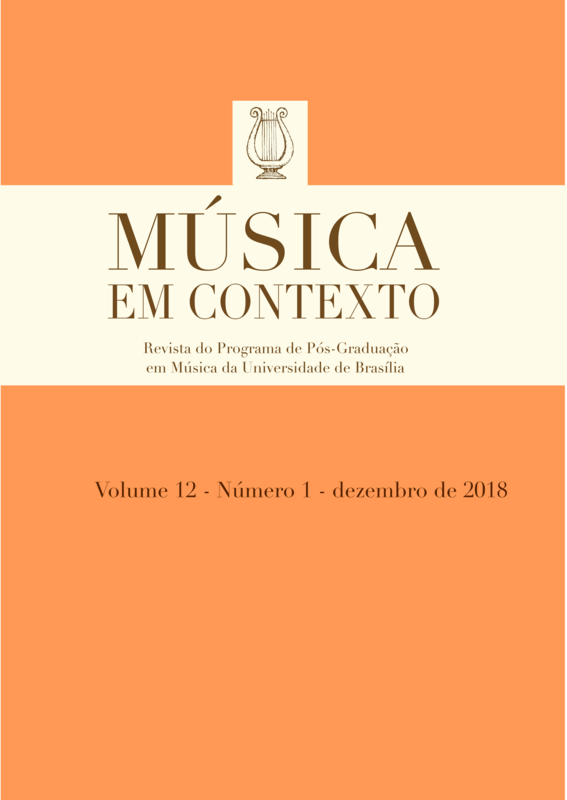 Seus interesses incluem assuntos relacionados à música, cultura, ética, humanidade, filosofia e as formas científicas de conhecer. Abe Masao 阿部正雄. 2003. 《我們的宗教：佛教》[our religion: Buddhism]. Translated by Zhang Zhi-qiang. Taipei: Rye Field. Abe Masao. 2004 . God, emptiness, and the true self. The Buddha Eye: An Anthology of the Kyoto School and Its Contemporaries. Fredrick Franck, ed. Bloomington: World Wisdom. 55–68. Beer, David. 2008. “Making friends with Jarvis Cocker: music culture in the context of Web 2.0”. Cultural Sociology 2 (2): 222–241. Bu Yumei卜玉梅. 2012. 虚拟民族志: 田野、方法与伦理 [virtual ethnography: field, approach and ethics]. 《社会学研究》 Sociological Studies 6: 217–236. Chang C. C. Garma. 1971. The Buddhist Teaching of Totality: The Philosophy of Hwa Yen Buddhism. University Park and London: Pennsylvania State University. Chen Pi-yen. 2001. “Sound and emptiness: music, philosophy, and the monastic practice of Buddhist doctrine”. History of Religions 41(1): 24–48. Chow Ow Wei. 2015. Phenomenal and Virtual Views on Music Related to Buddhism in 21st-century Malaysia. Doctoral dissertation, Universiti Putra Malaysia, Serdang, Malaysia. Evans, Dave. 2011. The Internet of Things: How the Next Evolution of the Internet Is Changing Everything. https://www.cisco.com/c/dam/en_us/about/ac79/docs/innov/IoT_IBSG_0411FINAL.pdf. Accessed December 2, 2018. Farugia, Rebekah and Thomas Swiss. 2005. “Tracking the DJs: vinyl records, work, and the debate over new technologies”. Journal of Popular Music Studies 17 (1): 30–44. Fell, Mark (2014). Roadmap for the Emerging “Internet of Things”. https://www.claytonmackenzie.com/s/IoT_Roadmap.pdf. Accessed December 2, 2018. Hauben, Jay. 2007. “The vision of JCR Licklider and the Libraries of the Future”. In Origin and early development of the internet and of the netizen: their impact on science & society, edited by Ronda Hauben. Past, Present, and Future of Research in the Information Society. Wesley Shrum, Keith R. Benson, Wiebe E. Bijker and Klaus Brunnstein, eds. New York: Springer Science +Business Media. 51–52. Hauben, Ronda. 2007. “The international and scientific origins of the internet and the emergence of the netizen”, in Origin and early development of the internet and of the netizen: their impact on science & society, edited by Ronda Hauben. Past, Present, and Future of Research in the Information Society. Wesley Shrum, Keith R. Benson, Wiebe E. Bijker and Klaus Brunnstein, eds. New York: Springer Science+Business Media. 49 –51. International Federation of the Phonographic Industry. 2018. Global Music Report 2018: Annual State of the Industry. http://www.ifpi.org/DOWNLOADS/gmr2018.PDF. Accessed December 2, 2018. Jin, Jackie. 2018. China social media landscape 2018. Kantar. https://cn-en.kantar.com/media/social/2018/china-social-media-landscape-2018/. Accessed December 2, 2018. Kantar Media CIC (2017). Kantar Media CIC released 2017 “Every 60 seconds in China” infographic big data for understanding Chinese social media. Kantar Media CIC. http://www.ciccorporate.com/index.php?option=com_content&view=article&id=1379%3Akantar-media-cic-released-2017-every-60-seconds-in-china-infographic-big-data-for-understanding-chinese-social-media&catid=112%3Aarchives-2017&Itemid=223〈=en. Accessed December 2, 2018. Karimi, Kaivan and Gary Atkinson. 2014. What the Internet of Things (IoT) Needs to Become a Reality. https://www.mouser.com/pdfdocs/INTOTHNGSWP.PDF. Accessed December 2, 2018. Licklider, Joseph Carl Robnett and Robert W. Taylor. 1990. The Computer as a Communication Device. In Memoriam: J. C. R. Licklider: 1915–1990. Palo Alto: Digital Equipment. 21–41. Mattern, Friedemann, and Christian Floerkemeier. 2010. “From the internet of computers to the Internet of Things”. Informatik–Spektrum 33 (2): 107–121. McEwen, Adrian and Hakim Cassimally. 2013. Designing the Internet of Things. Hoboken, New Jersey: Wiley. McLeod, Kembrew. 2005. “MP3s are killing home taping: The Rise of Internet Distribution and its Challenge to Major Label Music Monopoly”. Popular Music 28 (4): 521–31. Mell, Peter and Timothy Grance. 2011. The NIST Definition of Cloud Computing. Gaithersburg, Maryland: National Institute of Standards and Technology. Mitchell, Shane et al. 2013. The Internet of Everything for Cities: Connecting People, Process, Data, and Things to Improve the ‘Livability’ of Cities and Communities. https://www.cisco.com/c/dam/en_us/solutions/industries/docs/gov/everything-for-cities.pdf. Accessed December 2, 2018. Mitew, Teodor. 2012. From the Internet of Things to sociable objects. Proceedings of the IADIS International Conference on Internet Technologies & Society [ITS2012], 28–30 November 2012. Piet Kommers, Tomayess Issa and Pedro Isaías, eds. Perth: IADIS Press. 297–300. Morrow, Kim. 2014. Web 2.0, Web 3.0, and the Internet of Things. UX Booth. http://www.uxbooth.com/articles/web-2-0-web-3-0-and-the-internet-of-things/. Accessed December 2, 2018. Rahula, Walpola. 1974. What the Buddha Taught. New York: Grove. Shadbolt, Nigel, Tim Berners-Lee, and Wendy Hall. 2006. The Semantic Web revisited. IEEE Intelligent Systems, May/June issue, 96–101. https://eprints.soton.ac.uk/262614/1/Semantic_Web_Revisted.pdf. Accessed December 2, 2018. Siewart, Charles. 2013. Phenomenality and Self-Consciousness. Phenomenal Intentionality, Uriah Kriegel, ed. New York: Oxford University Press, pp. 235–260. Soothill, William Edward and Lewis Hodous. 2003. A Dictionary of Chinese Buddhist Terms. Charles Muller, ed. http://mahajana.net/texts/soothill-hodous.html. Accessed December 2, 2018. Sterling, Bruce. 2005. Shaping Things. Cambridge, MA: Massachusetts Institute of Technology. Tsvetkov, Yanko. 2014. The world according to a Facebook user. Atlas of Prejudice. https://atlasofprejudice.tumblr.com/post/85538501004/the-world-according-to-a-facebook-user-from-atlas. Accessed December 2, 2018. Tzu Chi KL and Selangor Branch 慈濟雪隆分會 (2013). 慈濟雪隆分會2012年歲末祝福回顧片段 [retrospective clips of year-end blessing presentation 2012 by the Tzu Chi KL and Selangor Branch]. YouTube. https://www.youtube.com/watch?v=S8V9YkZbkxc. Accessed December 2, 2018. Watson, Richard. 2013. Table of Trend and Technologies for the World in 2020. http://www.nowandnext.com/PDF/Trends%20&%20Technologies%20for%20the%20World%20in%202020.pdf. Accessed December 2, 2018. Chow, Ow Wei. 2018. A Fenomenalidade Das Coisas. Música Em Contexto 12 (1), 48-64. http://periodicos.unb.br/index.php/Musica/article/view/23511.